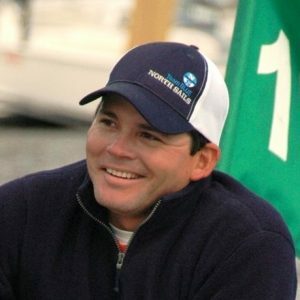 North Sails North America Optimist Head Coach. Juan is one of the most accomplished and experienced coaches in the Optimist class with nearly 25 years coaching experience. Born in Ecuador, Juan has coached at many top programs such as the Annapolis Yacht Club, St. Petersburg Yacht Club, Lauderdale Yacht Club, Coral Reef Yacht Club and is currently the Sailing Director at the Key Biscayne Yacht Club in Florida. Juan has also coached the Ecuadorian and United States National Teams in international events such as South Americans, North Americans and Worlds.